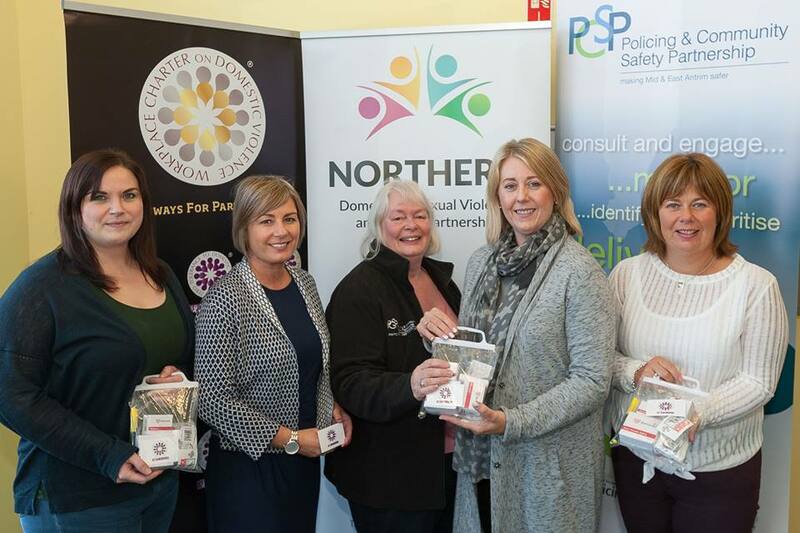 V/Chair Mid and East Antrim’s Policing and Community Safety Partnership (PCSP) Mary Watson hands over £7000 worth of crime prevention materials funded by MEA PCSP to help support victims of domestic abuse. PCSP is teaming up with the Northern Domestic and Sexual Violence Partnership (NDSVP) to donate alarms, locks, door braces and other items that can help prevent domestic violence or help vulnerable people across the Borough. Policing and Community Safety Partnership Chair …Cllr Brian Collins said, “There have been more than 20,000 domestic abuse incidents reported to police since April last year. This is something we want to tackle here in Mid and East Antrim and work with partners to do that. The NDSVP is a multi-agency partnership of local organisations which provide services to victims of domestic & sexual violence and abuse. Its chair Tracy Magill said, “Some individuals find it difficult to access relevant practical help and support. “These crime prevention packs are specifically tailored to the needs of victims of domestic violence. 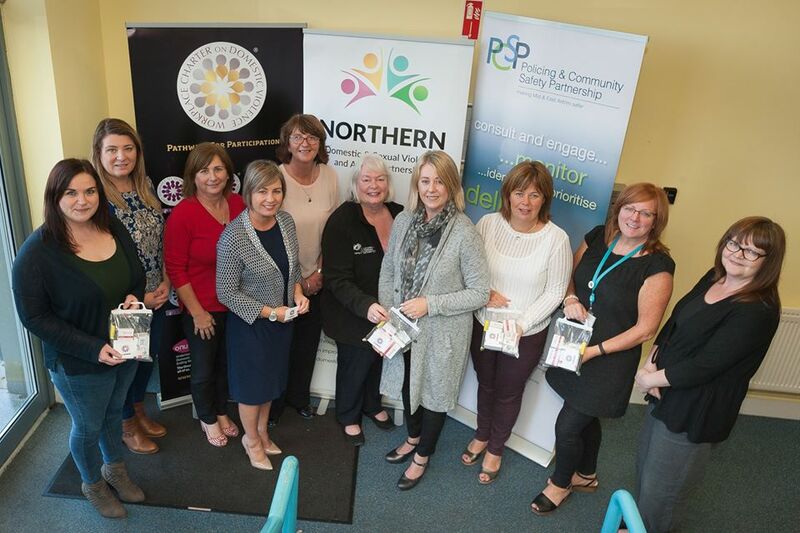 We have been working with Mid and East Antrim Borough Council for some years now and it is heartening to see its commitment to work with us towards a society with zero tolerance for domestic abuse.